by Sarah - November 3rd, 2017. Filed under: la redoute, New Products. Compo TV unit with push-to-open door. 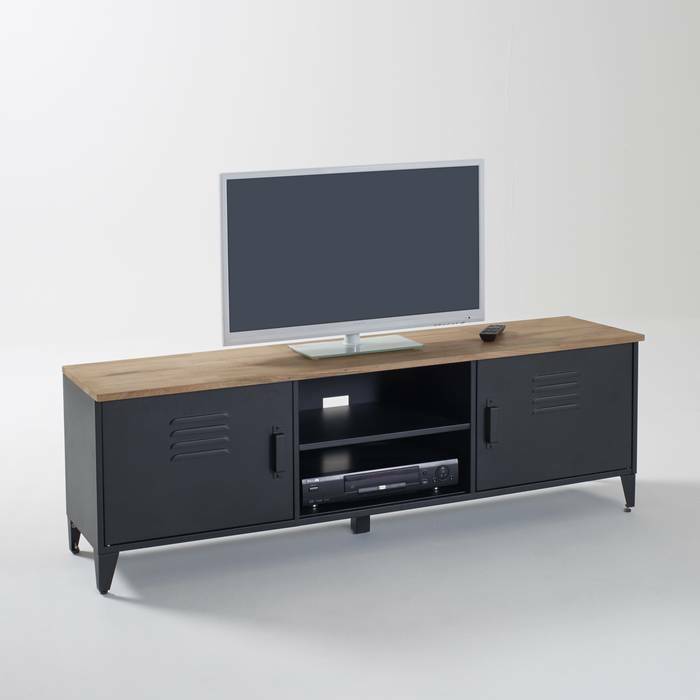 This Scandinavian style contemporary TV unit combining solid oiled oak and white MDF is great to coordinate with other items from the Compo range.Compo Push-To-Open Door TV Unit. This Scandinavian style contemporary TV unit combines solid oiled oak and white MDF.1 push-to-open door with 2 compartments inside.2 open compartments.Max. weight of TV : 50 kg.For screens measuring up to 50 (127 cm).Push-to-open door with metallic hinges.Cable access holes.Size:Width: 120 cmHeight: 40 cm.Depth: 33.6 cmUsable size of small compartments: L55 x H9.9 x D31.3 cmUsable size of large compartments: L55 x H219.4 x D31.3 cmSolid oiled oak structure.Lacquered MDF carcass and door with nitrocellulose varnish.Self-assembly. Thanks to its clever design and materials, the BABYBJÖRN One Outdoors carrier is both comfy and practical for both you and your baby – perfect for active holidays!Made from breathable, waterproof, moisture-resistant fabric to withstand whatever the weather throws at you. This carrier is easy to wipe clean and offers 4 different carrying positions depending on your child’s age and your needs. Suitable from birth to 3 years.BABYBJÖRN One Outdoors carrier :4 different ergonomic ways of carrying baby: facing you at two different heights, facing outwards, and on your back.- Specially-designed newborn position to keep baby close to your heart and high on your chest, with a choice of two different heights.- Baby can sit facing outwards in the direction you are walking, once its neck is strong enough. – Comfortable to carry on your back.When baby is facing you, you can safely and easily slip the carrier onto your back with no help needed. Mesh fabric. The lining is particularly soft on baby’s cheeks and lips. The thin mesh layer lets air circulate between you and your child. Sturdy, adjustable head rest to support baby’s head and neck. It can be adjusted to fit your child. Sturdy, comfy, adjustable waist and shoulder straps made from 3D mesh and moisture-resistant foam .Detachable pocket on the waist for storing your phone, keys, dummies or other small items. 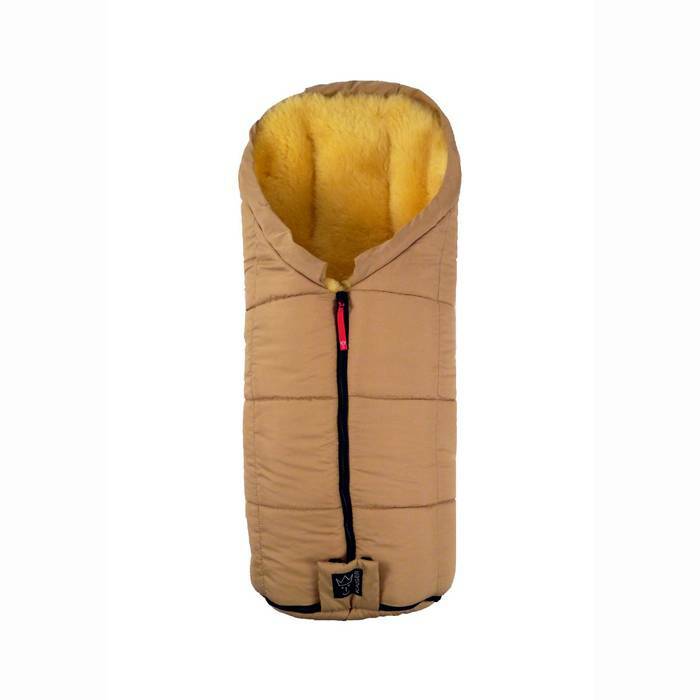 The shoulder strap loops let you attach a comfort blanket or cuddly toy. Storage bag provided.Hip-healthy:The International Hip Dysplasia Institute has tested the One Outdoors baby carrier and certified it as being hip-healthy. This means that the carrier provides the right level of support and promotes healthy hip development, which is vital during baby’s first few months.BABYBJÖRN One Outdoors carrier :All fabric is certified as Oeko-Tex 100, class I for baby products: it contains no toxic or allergenic substances.Main fabric: 100% polyamide.Fabric coating: 100% polyurethane.Mesh fabric: 100% polyester.Leg position zip protectors: 100% cotton.Safety:Suitable from birth to 3 years.Minimum size: 3.5kg / 53cm.Maximum size: 15kg / 100cm.Minimum age for outward-facing position: 5 months.Maximum weight for outward-facing position: 12 months.If your child weighs between 3.5 and 4.5kg, use the straps to reduce the size of the leg holes.Complies with the EN 13209-2:2005 safety standard for baby carriers. Care advice :This baby carrier can be machine washed at 40°C. Dries quickly after washing. Warning.When carrying the baby carrier, please be aware of the following points:- your balance will be affected by baby’s movements- you should be very careful when bending down or leaning forward- the baby carrier can be used for leisure activities, but not for sports. Part of the The Woods collection by Babybjörn, the ergonomic One baby carrier is distinguished by four front and back carrying positions. The sturdy waist belt and padded straps easily adapt to fit you making the carrier comfortable to carry your child up to the age of around 3 years.This product was developed in close collaboration with paediatricians and with their approval.Acknowledged as a hip-healthy baby carrier by the International Hip Dysplasia Institute: baby’s hips get the correct support encouraging good hip joint development.Dads inspiring Dads.It’s important to BabyBjörn that babies get as much closeness with their parents as possible. This is why our baby carriers have always been designed to fit both mums and dads. This new collection has been completely inspired by modern-day dads. Men’s fashion features a lot of patterned details right now and it is taking inspiration from the image of the modern-day dad. We’ve taken strong note of this and the result is our #dadstories Spring Collection, says Art Director Anna Ekman from the Design Team at BabyBjörn. We know there are plenty of hands-on Dads so we wanted to highlight their story. So instead of professional models, we asked six ordinary dads and their kids to be the faces of the collection. Some of them also share stories about their experiences and the lessons they’ve learned, which will hopefully be a source of strength and comfort for all the new and soon-to-be dads out there. BabyBjörn is available in 50 countries worldwide and the role of dads has changed a lot in the last 10 years.Features of Babybjörn Carrier One Air baby carrier in charcoal:- Design and patterns inspired by an autumnal nordic forest.- The upright position keeps baby’s airways free and allows you to monitor baby’s breathing.- Adapts to the changing shape of your child: no additional insert is required.- The waist belt allows you to support the child’s weight on your hips and avoid back and shoulder discomfort.- Ergonomic fit: the 32cm seat area is designed to give your child a proper, wide-leg position when you carry the child facing you.- Comfortably padded shoulder straps.Safety information for the Babybjörn Carrier One Air baby carrier in charcoal:Suitable from birth up to the age of 3 years.Minimum weight: 3.5kg/ 53cm. 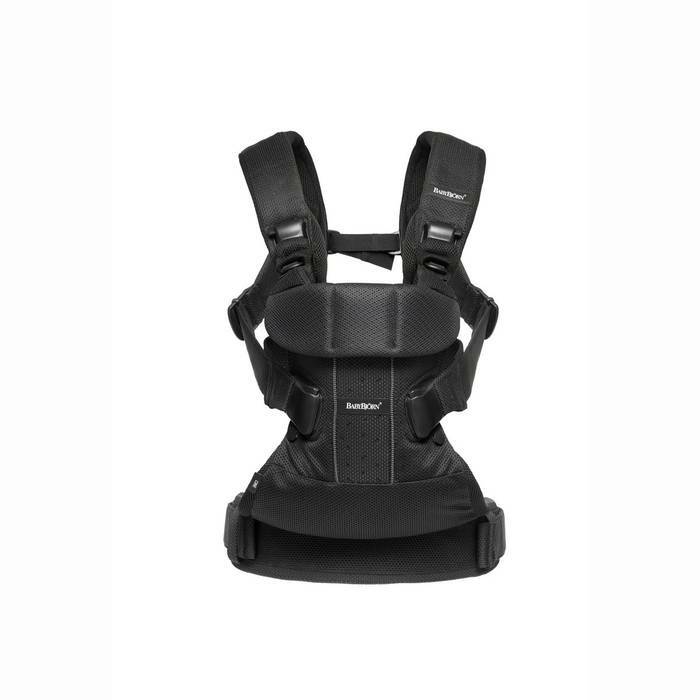 Maximum weight: 15kg/100cm.Minimum age outward-facing: 5 months.Maximum weight outward-facing: 12kg.For children between 3.5 and 4.5kg, use the leg straps to tighten the leg openings.Product conforms to the EN 13209-2-2005 safety standard for baby carriers.Main fabric: 60% cotton, 40% polyester.Lining: 100% cotton.Waistband lining: 100% polyester.Padding: 100% polyester (at the front), 90% polyester and 10% polyurethane foam (panel).All fabrics are kind to your baby’s skin, free from health-hazardous substances and certified according to Oeko-Tex® standard 100, Class 1 for baby products.Machine washable at 40°C. Wash separately with a gentle, bleach-free detergent. Do not tumble dry. Do not iron. The BABYBJÖRN One carrier adapts to fit your growing child, from birth to 3 years!Its design and unique materials, which have been developed alongside paediatricians,guarantee maximum comfort for you and your baby! The BABYBJÖRN One baby carrier can be carried in 4 positions. For newborns, the inward-facing position gives baby eye contact. From the age of 4 months the height and seat can be lowered using a zip. From 5 months, when baby can hold its head up, you can use either the inward- or outward-facing position. Lastly, from 12 months and up, you can carry baby on your back for a higher position so baby can see all around! 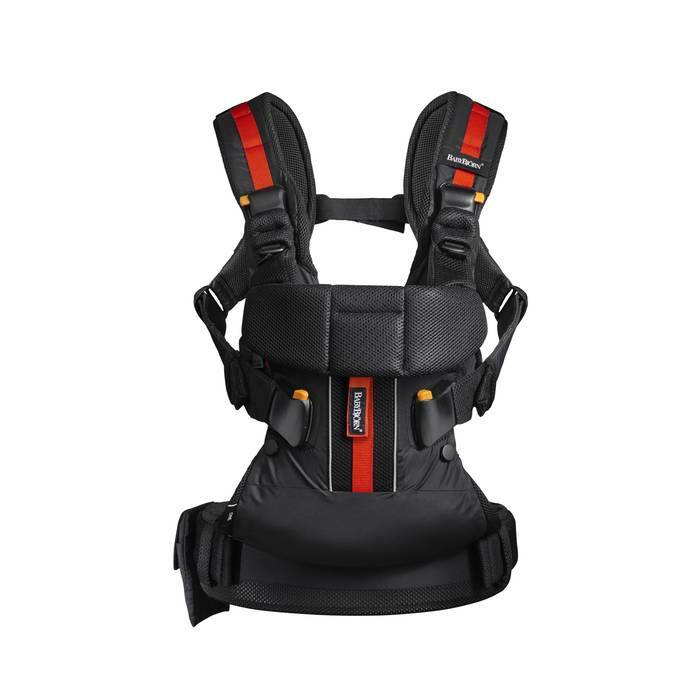 BABYBJÖRN One carrier: – Very wide seat for an ergonomic leg position. Baby’ hips are well supported and held in the ideal sitting position.- Wide waist strap to support baby and relieve your back and shoulders. 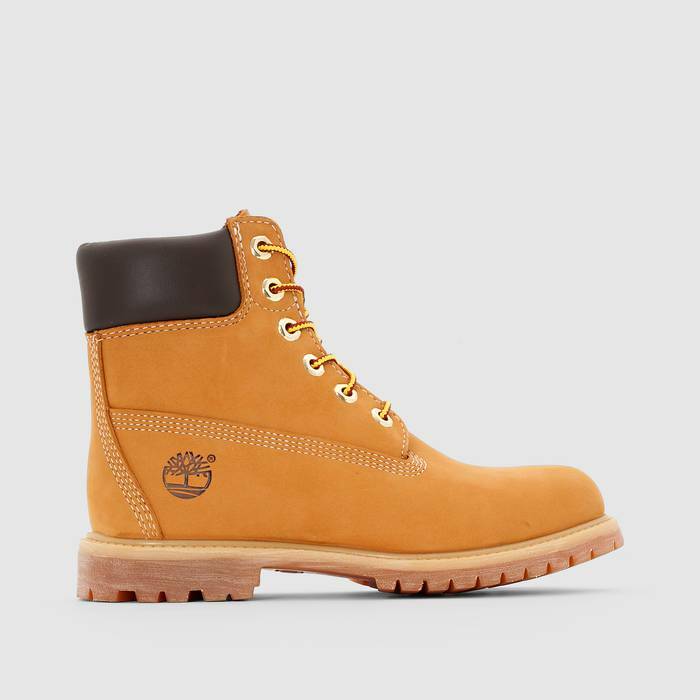 – Easy-access buckles at the side- Very thick straps to keep you as comfortable as possible. – Zip stoppers to keep baby safely in place. Fabric composition of the BABYBJÖRN One carrier: 60% cotton, 40% polyester. 100% cotton lining. Strap lining: 100% polyester. Colour: black. This product’s Oeko Tex 100 fabric guarantees that it contains no harmful substances . 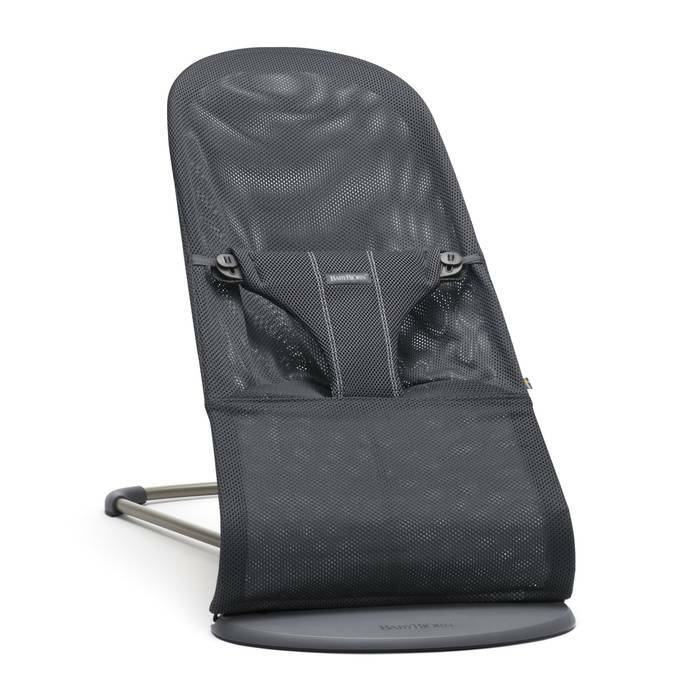 The Bliss bouncer comes in luxurious padded cotton and soft mesh that’s ideal for children. Fabrics are soft for baby’s delicate skin. There are a host of colours to choose from! If you already have a Balance Soft bouncer all you need to buy is the fabric seat.Ergonomic seat with natural rocking motionThe Bliss bouncer is a cosy place for your baby to rest and play! The ergonomically shaped seat supports baby’s back, neck and head. This bouncer has three height settings. Easy to fold up and take with you. The fabric seat is easy to remove and machine washable. The baby’s own movements set it gently rocking or it can be rocked by you. This bouncer runs without the need for batteries or any power so it doesn’t make any noise. Suitable from birth up to the age of 2 years. Description of Bliss bouncerThe Bliss bouncer is our award-winning classic model with a new design ! 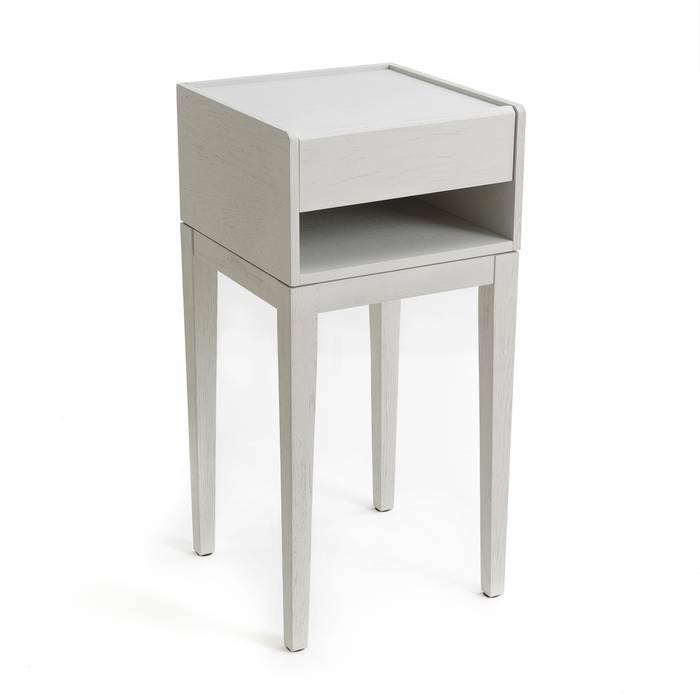 The grey base and frame give it a softer look. The one-colour padded seat fabric creates a luxurious feeling and makes an attractive addition to your home. This bouncer is a safe place for baby to rest or play while you take a shower or prepare a meal.- Three height settings for play, rest or sleep.- Folds up . Easy to fold flat and takes up very little space.- Natural rocking motion. Baby’s own movements set the bouncer rocking or it can be rocked by you. No batteries are needed for this bouncer.- This bouncer will last and last. Once your child is able to sit unaided simply turn the fabric seat around and use the bouncer as a comfy chair.- Ergonomic design. 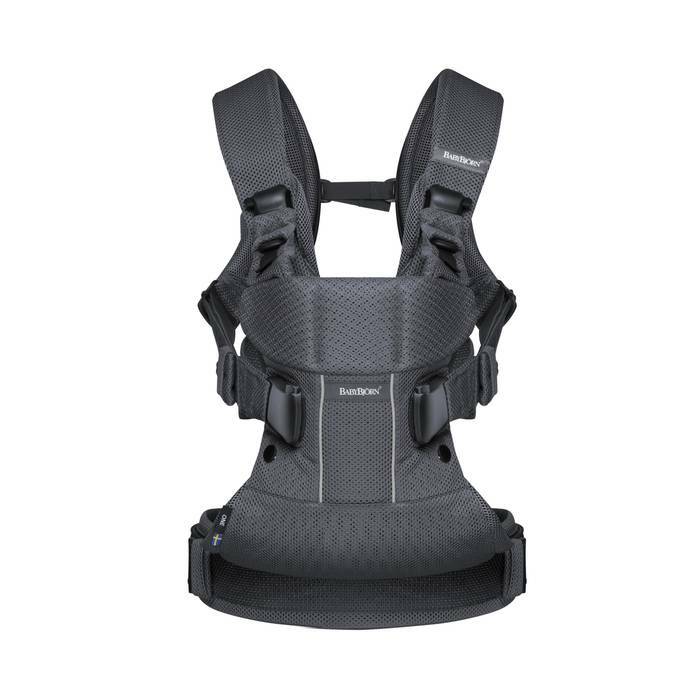 The bouncer supports your child’s back, neck and head. The fitted fabric seat distributes your baby’s weight evenly which is particularly important for newborn babies whose muscles have not yet fully developed.- Two different fabrics. The fabric seat comes in soft and comfortable padded cotton or in lightweight mesh. These two fabrics are free from health-hazardous substances and certified according to Oeko-Tex® standard 100, Class 1 for baby products.Features of Bliss bouncerSuitable from birth up to the age of approx. 2 years. (Minimum 3.5kg, maximum 13kg)For newborns: when the product is used as a bouncer, the maximum weight is 9kg.High setting up to 9kg. Mid setting up to 9kg. Low setting up to 7kg.When your child is able to sit unaided: when the product is used as a chair, the maximum weight is 13kg.High setting up to 13kg. Mid setting up to 10kg. Low setting up to 7kg.It is not a danger to exceed the maximum recommended weight for a particular setting, but the rocking motion will be impaired.100% padded cotton is incredibly soft for baby’s skin.Soft, lightweight mesh is breathable and quick-drying after washing. 100% polyester.The bouncer is free from health-hazardous substances and certified according to Oeko-Tex® standard 100, Class 1 for baby products.Machine washable at 40°C. Wash separately. Use a gentle, eco-friendly bleach-free detergent preferably. Do not tumble dry.